Weeping deodara cedar is native to the area stretching from Western Nepal to Eastern Afghanistan where it grown at 1200 to 3000 m above sea level. However, it has become widespread in European where its various cultivars are frequently planted. 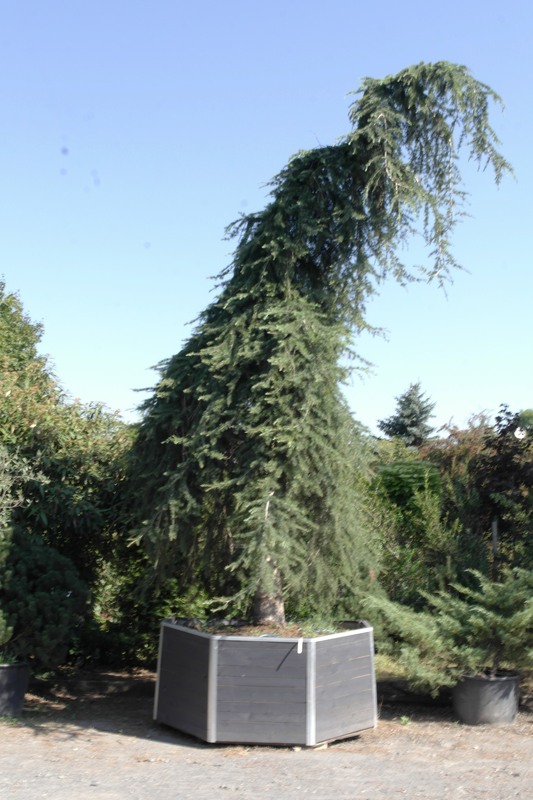 Weeping deodara cedar (Cedrus deodara "Pendula") is one of those cultivars. 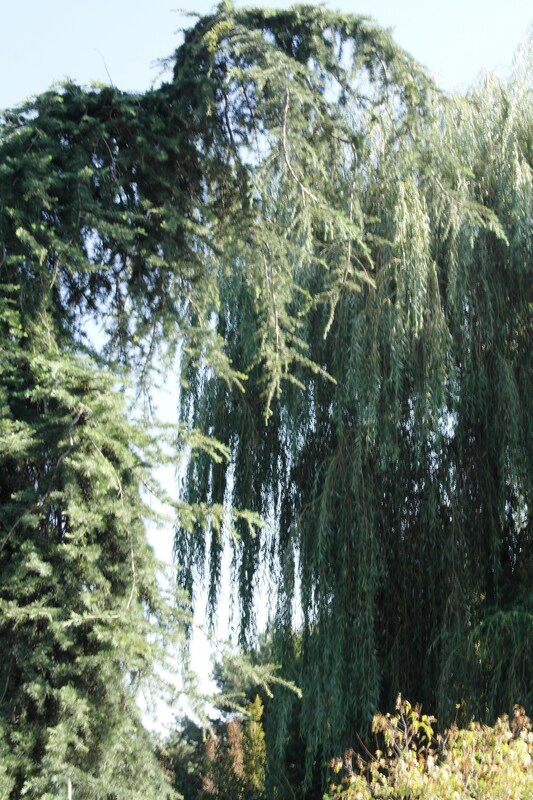 It is characterized with weeping branches that create the rare habitus of this gorgeous and noble cedar. The needles are dark green to bluish, 3 to 4 cm long, and grow in clusters of 20 to 30. Pistillate cones are up to 7 cm long and have a distinct purple shade. The total height depends on the height of grafting; without grafting, it can stand 10m tall and 15m wide. Cedars are planted in slightly acidic to neutral soil; it is suitable to use substrate for ornamental plants that promotes better rooting and better preparation for wintering (During the first year after planting the root ball should be covered in an abundant layer of mulch.). 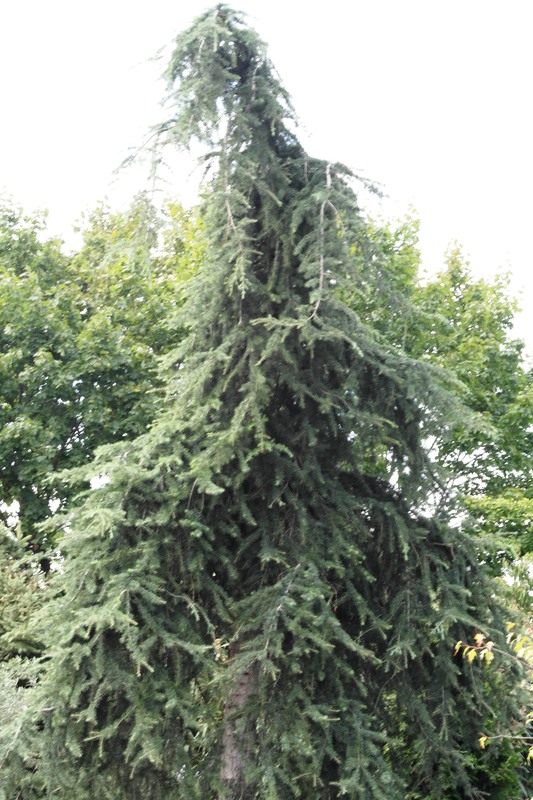 If planted properly, cedars survive winter easily in our climatic conditions. They should be grown in gull sunlight or half-shade. They tolerate mildly moist soil. Watering depends on the location (sunlight / half-shade), the size of the plant and the time of planting (Cedars require more frequent watering during the first year after planting.). The amount of precipitation and seasonal conditions must also be considered (i.e. use more water in summer and less in winter). Cederus deodara Pendula is an accent plant that grows at a slower rate. It is planted in gardens and parks, in front of corporate buildings, etc. Cedar wood is valued for its healing properties. Customer comfort and the high quality of our plants are our priority, which is why we provide our woody plants with a guarantee covering one vegetation period. However, the guarantee is honored only if plants are planted by a gardening company recommended by us and provided that customers take proper and due care of his plants as recommended.